Most commercial soaps are quite harsh and leave skin feeling dry. However, there are many ways to cleanse your skin without dehydrating it. 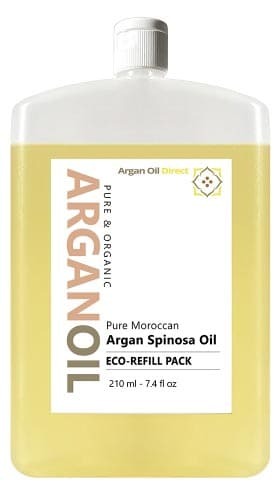 Using Argan Oil is great for protecting skin against dehydration and can used with gentle natural facial skin cleansers. Removing dead skin cells, excess oil and dissolving dirt and impurities helps keep skin look and feel healthy adn stimulates skin cell renewal. Milk and honey is an ancient anti-wrinkle cleanser that dates back to the Pharaohs. Milk is rich in lactic acid which cleanses pores and helps get rid of debris from the skin. It also stimulates the production of collagen. Milk also contains alphahydroxy acids (AHA’s). These have a natural exfoliating power and peel away layers of dead skin cells. Honey is rich in humectants which help keep skin hydrated and increase its elasticity. Combine a teaspoon of honey with a tablespoon of whole milk. Put this into a container and warm it until the milk and honey are thoroughly mixed. Make sure it’s comfortably warm and apply leaving on for about for around ten minutes. Rinse off with inse with warm water. 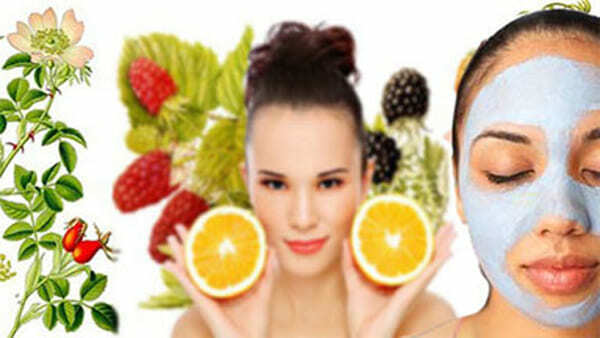 It is an easily to use ingredient and can be blended with other foods to create face masks or creams. Cucumber is also rich in rutin and ascorbic acid oxidase which are free radical scavengers. 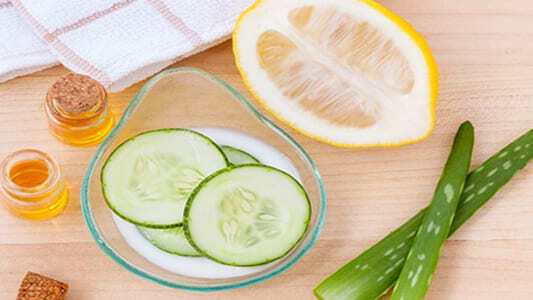 Extracts of cucumber were also found to decrease melanin production and skin sebum. This makes it intersting for lightening dark marks, Melasma and Acne. Apply and leave for 15 to 20 minutes. Exfoliating skin removes dead skin cells from the outer layer of the skin, revealing the softer, supple skin beneath. Lemon juice is rich in anti oxidant vitamin C, which promotes the production of collagen and has strong exfoliating properties. Sugar contains glycolic acid, a type of alpha-hydroxy acid ( AHA )that helps repair skin damage and remove dead skin cells. Mix the ingredients well then gently massage into your skin avoiding the eye area. Leave ten minutes and rinse with cool water. Combine baking soda and lemon juice. Mix enough juice to make a paste. Don’t worry simply apply to your skin for a couple of minutes, then rinse off. Popular brand creams advertise that they contain AHAs. AHA’s peel away dead skin cells to allow your skin to renew. However, the AHAs in commercial anti ageing products are also found in Milk and – apple cider vinegar, lemon and other fruit juices, tomatoes and grapes. First blend the shea butter and coconut oil in a glass container placed in a bath of warm water then allow to cool. Next Stir in argan oil – you can also add a natural oil to give the butter a nice fragrance. Place the mix in a cold place until it starts to set. Finally, before the butter sets thoroughly “whip” the mix to give it a smooth and consistent texture. Calcium Bentonite Clay or Moroccan Rhassoul Clay face masks. Bentonite clay and Rhassoul Clay is famous for removing toxins and the long term build of up heavy metal toxins we have in our system. After the nuclear disaster of Chernobyl in Russia scientists prepared a chocolate mixed with Bentonite Clay food bar which was given to locals to eat to help remove the radioactive toxins from their systems! It is great to clear spots and exfoliates the skin. However, on its own with water it really contracts as it dry. To complete our ultimate anti ageing and detoxifying face mask we add a few secret ingredients. Thoroughly blend the Honey with the Lemon Juice and Argan Oil until an even consistency. Add the clay to the mix bit by bit blending as you go.Massage into your face an leave for 10 minutes. Finally, rinse off with cold water. The Lemon balm is a natural astringent that will help keep skin taut and firm. It may also used with a homemade Argan oil hair mask. Steep the lemon balm in the boiling water and leave to stand for at least 10 minutes. Lemon balm rinse will keep in the fridge. When ready to use it just warm it to room temperature. Ancient societies discovered the benefits of essential oils for skin care. 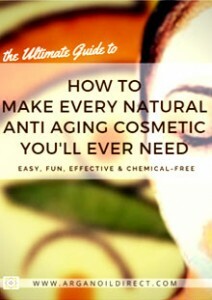 It is only now we are learning the benefits of natural oils for use in skin care. 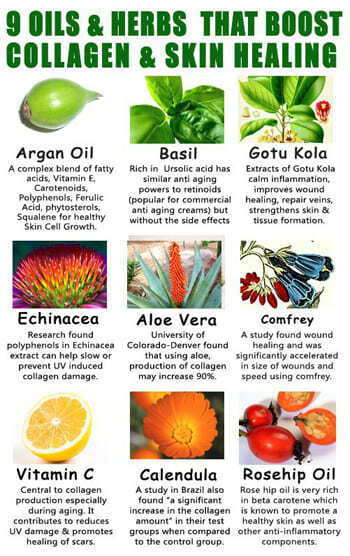 Essential oils are used in dermatology for a wide range of beneficial properties. Currently, over 90 essential oils with over 1500 blends have been identified as having positive benefits for use on skin. This short article features around 15 natural oils which can be added to an Argan carrier oil. Start now by clicking here to DOWNLOAD ►︎ your Free eBook. Save up to 40% on our cosmetic Argan Oil. Buy directly from some of our web pages where you see the “add to cart” buttons or from our full online store.